Today in this post I will tell you how you can scan your files online. When we download anything from any website, it can contain virus, malware, etc. which can harm your computer instantly. So we prefer to scan the file after downloading gets complete but sometimes even out own AntiVirus can’t detect it. 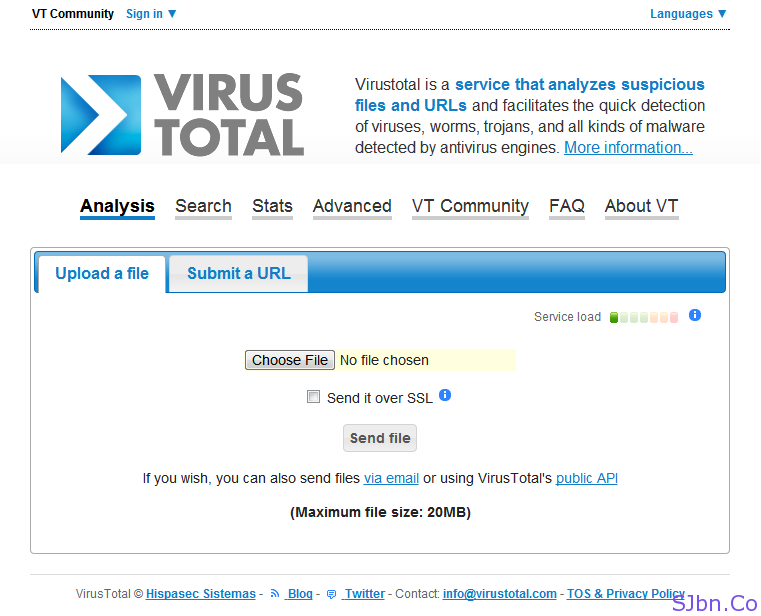 VirusTotal is an online tool which lets you scan files online with more than 40 scan engines. You can scan files by uploading directly to their server, by giving them URL of the file which you would like to scan or sending via email. Or sometimes we receive emails from our friends, which contains attachment with it and we want to make sure, that attachment is not infected. So you can simply forward that attachment scan@VirusTotal.com. 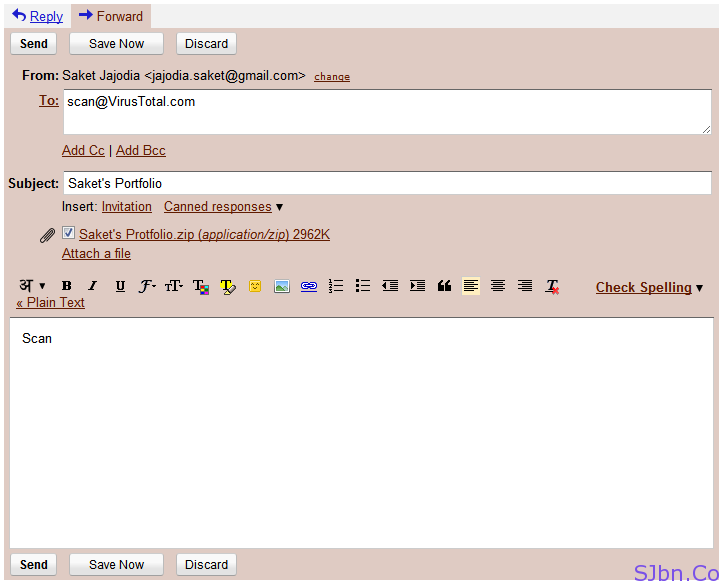 Simply remove everything from email body (don’t remove the attachment), just type Scan in body, at the To place give scan@VirusTotal.com and click on send button after they will complete scanning your file they will email with the scan details. And also make sure that your attachment size should be more than 20 MB. Or there system will reject it automatically. The downside of their website/service is they can’t scan your full system and you will only able to scan files size up to 20 MB.